With an estimated 1 in 88 children in the United States on the autism spectrum, an increasing number of families face the challenges associated with caring for autistic individuals. But what is it like for families that have multiple children on the spectrum? How does this affect interpersonal dynamics, finances, living situations, and marriages? And what is life like for non-autistic siblings? To answer these questions, Autism After 16 spoke with Faith Jegede and Lauren Brown, two women who grew up with multiple autistic siblings. 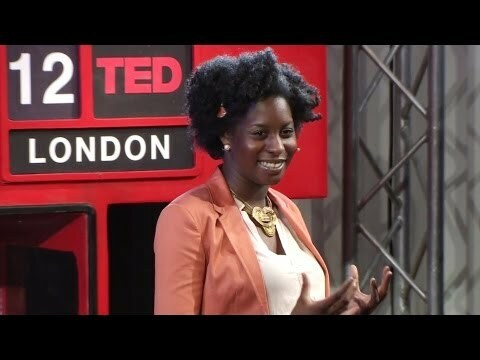 Faith Jegede is a 25-year-old Londoner, a writer and speaker who works at Premier Christian Radio. Jegede has two younger brothers, Remy, 23, and Samuel (Sam), 17. She’s best known for her 2012 TED talk, “What I’ve Learned from My Autistic Brothers.” Lauren Brown is a 22-year-old Californian who works at Surf City Graphics while studying at Cal State University Long Beach. Brown has 20-year-old fraternal twin brothers on the spectrum, Ian and Kyle. Brown is an advocate as well; in February 2013, she created a Facebook page, Autism with Ian and Kyle, to help raise awareness of autism. Brown’s family also lives in close quarters, as they’ve recently downsized from a house to an apartment. Ian lives at home, and Kyle has lived in a nearby group home for the past decade. (He comes home for visits with his parents and siblings on weekends.) Brown describes her brothers by saying that Kyle is, “loud and hyper and in-your-face,” while Ian is, “very laid back, but he doesn’t like to be touched.” Before Kyle lived in the group home, Brown says, “He had tantrums, and it was too much. We had our own rooms, and often I’d lock my door to get away.” Kyle’s behaviors included slapping himself in face, punching holes into walls with his head, and biting others. Supporting multiple individuals on the spectrum is costly. Brown’s brothers’ Social Security benefit checks have helped pay for the cost of their care, but her parents make up the difference. (Brown mentions that her parents will “pitch in” support for Kyle’s group home, buying items such as a TV, food, and extra blankets.) Medical issues have also been a factor for the Browns, as Kyle has a seizure disorder. And they’ve downsized their living space in part so that they will be able to afford care in the future. Jegede speaks candidly about the effect her siblings’ care has had on their parents’ marriage. She observes, “It’s been a challenge, but their relationship got stronger, because they had to act as a unit by force … And they leaned on their [religious] faith.” Brown’s parents are also married. Yet as noted in the 2011 NIH study, “The Relative Risk and Timing of Divorce in Families of Children with an Autism Spectrum Disorder,” parents of multiple autistic individuals have consistently higher levels of stress. The study points out that, “[The] severity of aberrant behaviors may be related to marital dissolution. Having multiple children with an ASD in the family may also increase divorce, as parenting resources may be particularly taxed ...” Families like Jegede’s and Brown’s face the stresses of dealing with difficult behaviors and supporting multiple individuals. Additionally, cultural differences have made an impact on both families. For Jegede, growing up in a British household with a Nigerian father and a Barbadian mother involved a culture of privacy. She says, “Autism is something that, culturally, is not expressed openly. My parents are private people; I’m probably the most ‘public’ person in our family.” And Brown says that when her brothers were born 20 years ago, there was significantly less public awareness of autism, and that her family life felt more “private” as a result. Jegede also says that it’s been difficult to connect her family with her “outside” life. She says, “Some of my friends did not know I had autistic brothers until last year. When we did invite people over, they didn’t quite understand the situation, so we ended up isolating ourselves anyway.” And the responsibility involved in being an elder sister sometimes set her apart from her peers: “On school days, as soon as I came in the door [to my house], I was a different person, a responsible figure. At school, I could just be a kid.” Brown says that it was difficult to invite friends over for visits and sleepovers; though they were “understanding,” she felt that it was hard for them to relate to her home life. Their responses are different, yet both women want to connect their brothers with their future families. Both imply that their children will have much to learn from their autistic uncles. They believe that their brothers have a place in their future, as they do in their hearts. And that belief is, perhaps, one of the greatest gifts that having multiple siblings on the spectrum can give.